What happens to a person’s identity when the person they used to be, no longer exists? ABC journalist Kumi Taguchi set out to tell the story of a hospital in Melbourne with a unique set of patients: returned soldiers who are dealing with severe Post Traumatic Stress Disorder (PTSD). After dozens of emails and phone calls over the space of a year, Kumi found herself spending the best part of a fortnight being a fly-on-the-wall in the Heidelberg Repatriation Hospital. She spoke to clinicians and psychologists and spent time in Ward 17. She took part in an art therapy class, discovered the Kokoda gym and sat in a quiet chapel. And, she waited for patients to tell their stories. Eventually, she spoke to six men aged between 29 and 50, who shared their nightmares and journeys with PTSD. What Kumi learned along the way was unexpected: that underlying this illness is a search for identity and meaning, and perhaps a re-think of what ‘sacrifice’ means in the context of war. Kumi Taguchi’s work is an online piece, a medium she believes is appropriate for the intimate subject matter, and to preserve the privacy of those who were kind enough to share the most defining moments of their lives with her. This unique and compelling ABC News long-form online feature captures the deeply personal perspectives from soldiers who share their fears and thoughts on re-engaging in a ‘new world’, steps to recovery and dealing with life, after the war. ‘The battle after the war’ will be launched on Friday, October 3 at abc.net.au/news. 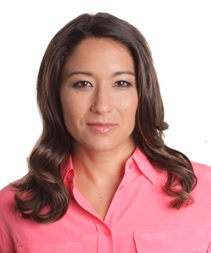 Kumi Taguchi co-hosts ABC News 24’s evening news program with Scott Bevan. Kumi started at the ABC in 1997 at The 7.30 Report, where she answered phones and sorted faxes. From there, she spent time at Triple J, before working for deaf and hearing impaired at various networks. In 2004, Kumi moved to Hong Kong and worked for Star TV, Asia Television and NHK World. She was the editor of a weekly social affairs program, anchored daily news, and produced long-form current affairs features. In 2010, Kumi moved back to Sydney, working at both SBS and the ABC before settling at the ABC full-time with ABC News 24. A regular news presenter on ABC News 24, Kumi moved into the evening co-host role in March 2014. Kumi has also worked in ABC Radio Current Affairs and on the 7pm ABC News, as well as ABC Local Radio. Kumi plays the violin and is a keen runner and avid cricket fan. You can follow Kumi on Twitter at @kumitaguchi.